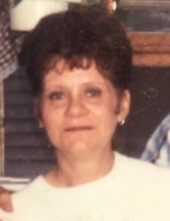 Kathy Ladean Reynolds, age 73, of Mattoon passed away at 8:40 a.m. on Sunday, January 13, 2019 at Odd Fellow Rebekah Home. Funeral Services honoring her life will begin at 11:00 a.m. on Thursday, January 17, 2019 at Schilling Funeral Home. Burial will be at a later date. Visitation for family and friends will be held from 10:00 a.m. until time of service Thursday at Schilling Funeral Home. Kathy was born on August 21, 1945 in Douglas County, IL the daughter of Dean and Kay (Sadler) Bowers. She married John Patrick Reynolds in Clinton, IL. Survivors include her loving husband of 45 years, John Reynolds; children, Jesse, Crystal Lynn, Debbie Lynn, Gina, Larry and Kathy; numerous grandchildren; step-children, Tim Reynolds, Corrine Davis and Tammy Sparling; brother, Jimmie (Betty) Bowers; sister, Jackie Larson; special canine companions, Bear and Gidget. Kathy was preceded in death by her parents. Kathy worked as a housekeeper and waitress for 20 years. Kathy was an avid pool player and won 21 trophies in various competitions in Indiana. When she went to the state tournament, she won third place. She loved spending time with her family. She will be greatly missed. Memorial donations in her honor may be given to the family. To send flowers or a remembrance gift to the family of Kathy Reynolds, please visit our Tribute Store. "Email Address" would like to share the life celebration of Kathy Reynolds. Click on the "link" to go to share a favorite memory or leave a condolence message for the family.